The full meaning of a language is never translatable into another. We may speak several languages but one of them always remains the one in which we live. In order to completely assimilate a language it would be necessary to make the world which it expresses one’s own and one never does belong to two worlds at once. Similar to language, the body is imprinted with the mark of the world in which it is rooted. Through their work, dancers and choreographers Amara Tabor-Smith and Sherwood Chen engage in acts of translation, both between their respective bodies and with artists from other cultures, to further explore and navigate the world(s) in which we live. Confronting the inherent untranslatability between two different realities evoked by French philosopher Merleau-Ponty, Tabor-Smith and Chen investigate the context, assumptions, and power structures that exist within the space between bodies, histories and cultures. 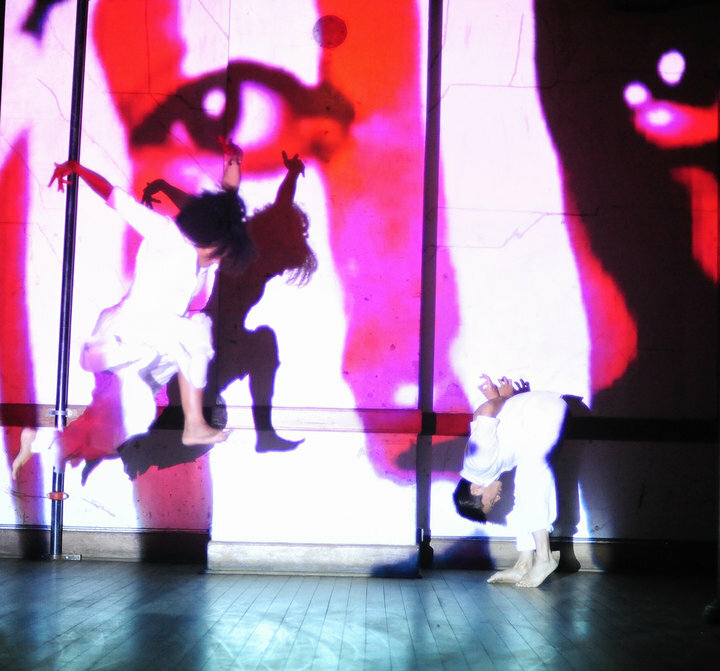 In 2009, they founded Headmistress, a collaborative entity which is currently in residence at ODC Theater. 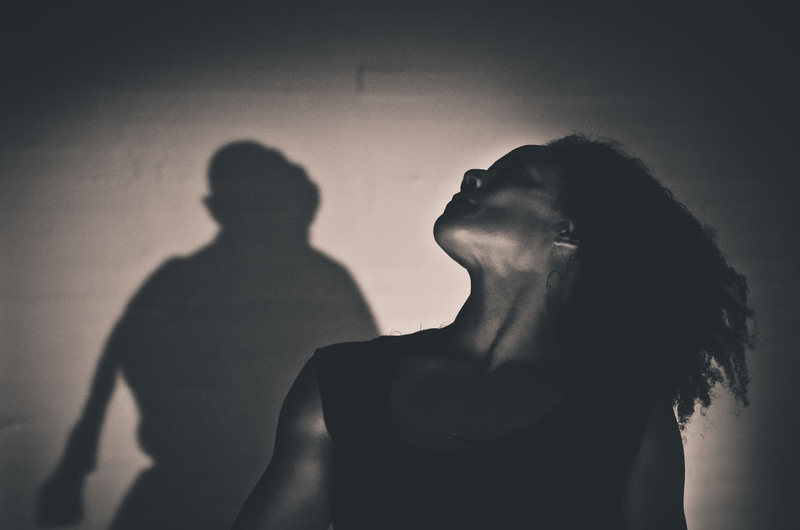 Tabor-Smith is a former Associate Artistic Director and dancer with Urban Bush Women and her training is rooted in the traditional dance forms of Africa. Chen’s movement vocabulary is highly influenced by his work with dance artists Anna Halprin and Min Tanaka. In anticipation of Headmistress’ performance at Walking Distance Dance Festival-SF (WDDF-SF) this weekend, I spoke to both artists. Marie Tollon: What was the impetus for working together? Amara Tabor-Smith: We spent a lot of time dancing together in the clubs. That was the basis for our work. Recognizing that although it is not necessarily validated from a contemporary dance perspective, the spirit that is generated or cultivated in those environments is a fertile ground. What would it mean for us to try to keep the thread of that magic happening and create work in the studio, work that we would perform? It wasn’t so much that the dance floor movement made its way into our choreographic process but the spirit of it did. That imprint was made and it became something else in the studio, but it was that magic and that connection that continued in everything else. When we first started working together, some people were very intrigued about this duet between an Asian man and an African American woman. Those reactions had a lot to do with race and assumptions about whom they thought we were. We both knew that, even before we would take a step, people’s glasses would be colored -no pun intended- with how different we were, when actually it was our chemistry, our ‘kindredness,’ that brought us to work together and not so much our differences. MT: In our earlier conversation, you mentioned: “One of our early intentions was to stain each other.” Can you elaborate on that notion of staining each other? Sherwood Chen: Both of us are aware and proud of our roots, both culturally and artistically. We were not trying to move away from them. We were drawn to each other as much for the places we resonate, as for the ones where we felt like we were foreign to each other – foreign bodies in the most metaphorical and literal sense. We gave each other the permission to experience something that had nothing to do with our respective backgrounds. Working directly with Amara gave me the permission to explore movement vocabularies in a creation environment, in ways I had prior refused myself. Going back to the notion of stain, it has so many negative connotations in English. If you stay with somebody long enough, even if you are still considered a foreign body, it’s going to mark you indelibly. You can’t take it back. You cannot go back to where you are coming from. We were not trying to become one another, but we became different artists than what we were. MT: Sherwood, the space created between two bodies, two trainings, two cultures, brings to mind the notion of décalage, a French word which you use and which roughly translates as ‘discrepancy’ or ‘interval.’ This notion, along with the question of translation, is one that you have been investigating, both within and outside of the context of Headmistress. Can you talk more about it? SC: I muse on translation in my work because in the traditional act of translation from one language to another, there is a tension between the guaranteed betrayal of the source material and the moral ambition to make the effort anyway. Lucidly recognizing an inevitable degree of missing the mark. Understanding this tension. Framing it. Trying to work with it as a source for performing material. MT: In an interview at the Headlands Center for the Arts, where Headmistress was in residency in 2010, you stated: “Our questions were similar. It was your training and forms that were different.” What questions did you two have in common? SC: Questions about identity, culture and our aesthetic heritages and negotiations with them. Questions about race, power and differentiating between institutionalized perspectives and where we are coming from. In the San Francisco Bay Area, these questions are very common, and in that sense we are Bay Area artists. But neither of us were interested in rendering these questions legible on stage for their own communicative sake. Instead, these enduring and personal dialogues have been the process-oriented springboard for formal investigations in performance. MT: Outside of the U.S., Headmistress has participated in residencies in Senegal, Brazil and France. What were you interested in exploring? How did those experiences affect the work? ATS: One of the things that we often say is that we both have the experience of ‘other’ in the United States. Yet, there is a way in which this is our home, we also are from this place, even if in this culture we are ‘other.’ We wanted to see how other places – where we are ‘other’ in other ways- would stain us. SC: We were already addressing foreignness between us in the studio. Could we crank up the fire by putting ourselves in these other situations, all the while knowing that travel is associated with privilege? I am constantly struggling with the spectrum between the worst of cultural appropriation, and an effort toward exchange -which implies a balance of power- to allow myself to receive and to offer. To say “we are all one” avoids addressing imperialism and the ways in which power can be changed. Being in residency abroad keeps me in line, makes me vigilant towards my own naivetés. MT: Sherwood, the questions relative to cultural appropriation permeate in one of the solos that Headmistress is presenting at WDDF-SF, notably through the use of a song by Moroccan singer Hamid Zahir. Can you elaborate? SC: When I was exposed to the song over twenty years ago, it resonated with me. I had no idea what they were saying. The song lived with me, I lost it and then found it again a couple years ago online. I played it acontextually in one of my workshops in Brussels. A Moroccan-French participant and colleague approached me afterwards to tell me how that song spoke to her deeply of her childhood, her roots. That became my motivation to treat this as a jumping off point because this song could not have illustrated more the divide between her and me – of deep nostalgia she lived and the sense memory of the Rabat streets which this chaâbi song evoked in her, and then me, some young American who heard the song randomly on a cassette tape one day in suburban Los Angeles. Both of us were touched but in different ways. This difference creates a gap. The shift from analog to digital to memory to live performance also yields many gaps. I am trying to problematize rather than resolve these tensions. MT: Amara, part of the other solo that Headmistress is presenting at WDDF-SF, consists of a jumping sequence anchored within a repetitive rhythm. Watching this moment, I felt your body read as a history book of untold, or less told, stories. Can you share a bit of the making process? ATS: I am stripping bare, peeling layers. I keep searching for the place where I can be as vulnerable and as open as possible in public. How much darkness, and light and spirit, can I expose to my audience? Where is the line and when is it too much? And I don’t know until I am in it. I think of it like jazz musicians, in search of something deeper. If you can appreciate that it is not always the thing that brings you joy or comfort, or makes you think “Oh I understand,” if you allow yourself to just breathe it in, maybe there are other levels that you can’t necessarily articulate or intellectualize. But I’m more a feeler, I’m trying to live in that place, I’m trying to live in the question, and keep digging for more questions, than answers. I’m trying to stay loyal to the spirit that wants to come through. MT: You often choose to set your work in unconventional spaces, such as the street, a store or the lobby of theater. How do these alternate spaces affect the work? ATS: I am less interested in theater space. It doesn’t mean that I won’t perform in the theater but I’m finding a home where my performance is more accessible to anyone who happens upon it, and is transformed by whomever happens upon it. Because there is a more direct contact with the audience, so that line between the performance and audience is more dissipated, the present changes the experience – which also makes it harder for me many times to articulate what is going to happen. There are set intentions, and even logistically some set aspects, but all of that could change. When I did my piece “He Moved Swiftly…” as part of Dancer’s Group/ONSITE dance festival, every moment was impacted by who was there. Some things that happen were crazy, magic, heartfelt, and chaotic. And I like that. That’s home for me. That’s taking the story where the story wants to be. My intention is to be diligent to the spirit of what is trying to come through. The festival format provides a unique opportunity to travel the many paths that have been thoughtfully carved out by each of the participating artists. But what kind of distance(s) are we asked to go here? There is the physical distance between the two buildings in which the festival happens, allowing us an intake of fresh air and a casual chat with fellow viewers as we cross the street to attend the second part of the program. There is the space between two artists whose work is featured on the same bill, and the fertile dialogue it creates. And what about the gap between the familiar and the unknown that the artists, each in their own way, are encouraging us to consider? 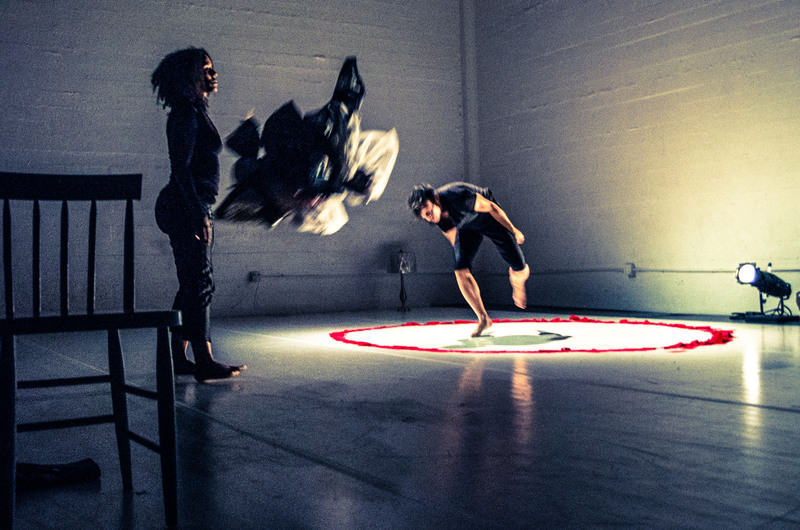 WDDF-SF also bridges the distance between East and West Coasts, by inscribing the voices of seven choreographers – six of which are based on the West Coast- within the larger artistic conversation. The latter has been recently fueled by the question of cultural appropriation, which manifests in the work of several artists of this edition, echoing Philadelphia’s Remix Festival, which addressed current intellectual property laws and the art of sampling via choreography earlier this month. Choreographers Lionel Popkin (Los Angeles), Amy O’Neal (Seattle), Doug Elkins (New York) and performance entity Headmistress (Bay Area) each insert their own lens on this issue. In Ruth Doesn’t Live Here Anymore, Popkin inquires whether dance artist Ruth St Denis’ orientalism was an act of cultural appropriation or a legitimate examination of the sources of dance. 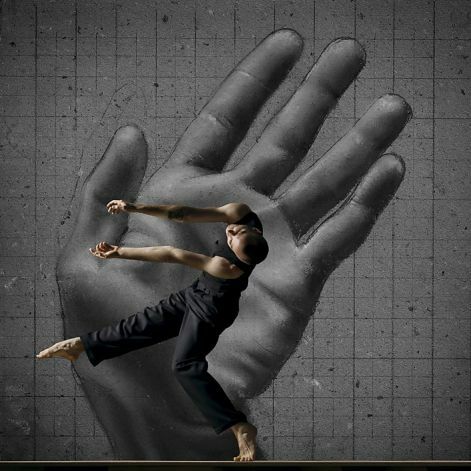 O’Neal explores the relationship between sampling and creativity by collaging different styles of dance in The Most Innovative, Daring, and Original Piece of Dance/Performance You Will See this Decade. With his Bay Area debut in Hapless Bizarre, Elkins tackles the issue of appropriation by sourcing French director Jacques Demy’s 1964 musical film The Umbrellas of Cherbourg. Similar to O’Neal, Elkins mingles many genres of dance, providing what he calls a “collision of languages” in a piece that navigates the boundaries between physical comedy and dance. Headmistress draws from observing and absorbing the work of artists in Brazil, Senegal and France to investigate cultural cross-pollination in its two solos. A look at how identity is constructed and represented also permeates the work of several artists of this edition. Of both Indian and Jewish descent, Popkin examines his cultural lineage by questioning the accurateness of the South Asian imagery that populates his dances. Headmistress researches how context informs identity while O’Neal challenges the performative representations of gender, race and sexuality. 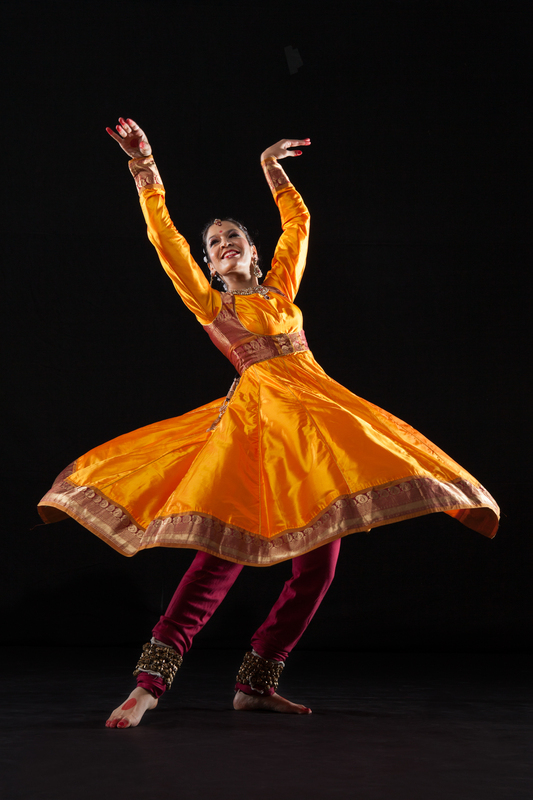 Featuring works accompanied by live musicians, Heidi Duckler Dance Theatre (Los Angeles), Rachna Nivas of Chitresh Das Dance Company (Bay Area) and Garrett + Moulton Productions (Bay Area) emphasize the relationship between movement and music. Set in a bowling alley, Duckler’s Bowling Blues reflects on how art re-contextualizes our experience of space and vice versa. The two Bay Area choreographers highlight the mesmerizing expressivity of the body: Garrett and Moulton’s A Show of Hands exposes the manifold stories hands can enact, while in Nivas’s Bhakti, eyebrows, fingers and arms communicate the intricacies of the life of the mystic princess Meerabai, who defied the role assigned to her by the patriarchal Indian society of the 16th century. With its three programs, the festival contributes to building a variety of poetic landscapes. Whether we journey through one or through all of them, we can track how the creative paths delineated by the artists crisscross, join or diverge from one another. So let’s put on our walking shoes and go the distance(s). Taking the dance out of the theater and into the public sphere is certainly not a new preoccupation within the dance world. In the Bay Area and beyond, artists have been challenging traditional ways dance is both presented and staged since the 1960s, by providing a variety of viewing platforms for their work, outside of conventional performance venues. What does the dance gain and/or lose from being transposed onto an unconventional stage? How is movement affected by the context of a specific site? Inversely, how is the experience of space informed and transformed by the choreography? What kind of dialogue is established between the work, its voluntary audience and its incidental one? When setting their work outside of the traditional dance theater space, artists are forced to consider the site, which inevitably informs both the ambience and structure of the work by way of sound, form and movement. Choreographer Heidi Duckler surely knows something about that. Hailed as the “reigning queen of site-specific performance,” she has been working exclusively in nontraditional sites for nearly 30 years. Based in Los Angeles and founded in 1985, Heidi Duckler Dance Theatre inserts dancing bodies within places charged with a specific role and history, such as hospitals (Catch Your Breath, 2012; The Groundskeepers, 2013), vacant lots (Expulsion), trailers (At the Oasis, 2013), laundromats (Launderland, 1998) and bus terminals (Kiss n’ ride, 2012). Placing dance outside of traditional venues is also a way for Duckler to build community and bring the art form to audiences who are not necessarily familiar with dance. “I view location, history, and community as my creative partners. I consistently draw upon the conceptual complexity and identity of each location to drive the creation and implementation of my company’s professional performances and learning opportunities. Therefore, we inadvertently, yet strategically build communities with each project,” Duckler explained to Dance Mogul Magazine. If Bowling Blues exposes how choreography and space impact each other, it also delineates how sound and movement converse. Featuring live music by Claire Gignac, the dance echoes other works which explore the relationship between music and dance within the context of the festival. The format of the upcoming Walking Distance Dance Festival-SF (WDDF-SF) gives viewers a chance to see astute pairings of artists whose work may at first appear to be stylistically and thematically different, but whose juxtaposition reveals similarities that may inform how you view each of them. Such is the case with the works of Garrett + Moulton Productions and Rachna Nivas of the Chitresh Das Dance Company. 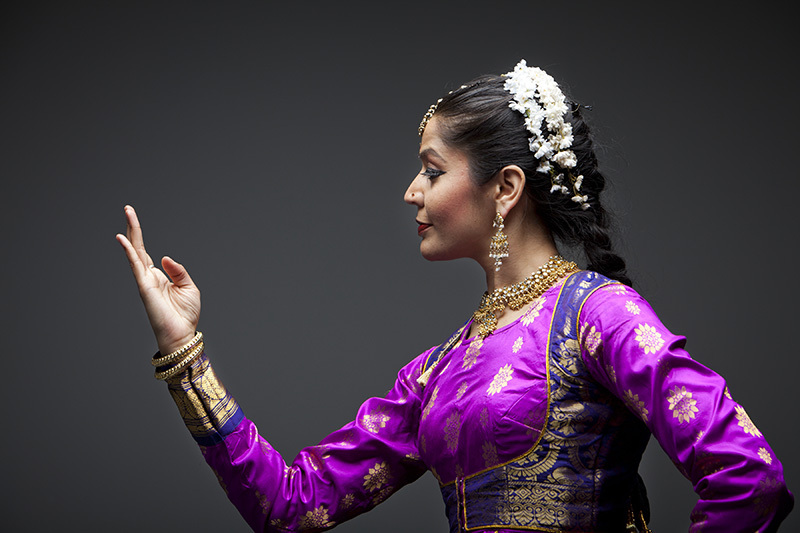 While the work of choreographers Janice Garrett and Charles Moulton is based on contemporary dance, Nivas’ choreography is rooted in Kathak, an Indian dance that incorporates spoken rhythm to intricate footwork and twirls. Yet, the work of both companies is embedded in a sophisticated exploration of the relationship between dance and music and will feature live musicians at the WDDF-SF. For Garrett and Moulton, the choice to bring live music to the stage comes from “a conscious decision to break out of using recording music and a commitment to work with musicians,” Garrett explains. “There’s nothing like it! There is a real oneness of these two art forms, dance and music. They are really a form. It is a creative necessity for us, in terms of where we want our work to live.” The original score of A Show of Hands – the piece that Garrett and Moulton are restaging for the WDDF-SF- is by composer Dan Becker and will be performed live by the Friction Quartet. Beyond the common desire to commission and include live music on stage, other similarities are revealed when seeing the work of these artists in the same program. A Show of Hands is based on a series of 100 drawings of human hands by Moulton. The artists chose 24 of them to form the backdrop of the dance. Garrett then choreographed the piece based on the drawings. “[Charles’] interest had to do with the hands’ expressiveness, what they can reveal about our human experience. In the studio, we used the different states of expression that Charlie had proposed as a springboard for choreographic material,” Garrett mentions. Watching Garrett + Moulton Productions and Nivas’ works, we are invited to explore both the obvious and the more subtle ways music and movement intertwine, as well as the universality of experience that comes through the human body, whether it is trained in contemporary dance or in Kathak. My young daughter’s room usually offers a state of tidiness until about 10 minutes after it’s been thoroughly cleaned. At a tornado’s pace, toys and accessories of multiple colors and shapes, pieces of clothes from all seasons, hats and sticks, accumulate all over the floor, rendering the room into a splendid chaos. So the thought of 49 youth performers evolving within the relatively narrow space of a theater’s backstage, and given the considerable task to manage hundreds of props, is enough to humble me. For ODC Associate Choreographer and School Director Kimi Okada, no task is too big when it comes to giving youth opportunities to learn about the craft of dance. Uncertain Weather, the youth production that she directed and which third season opens this coming weekend at ODC, comprises 49 children and teenagers, from 7 to 18. Okada and I talked over tea. MT: What was the genesis of Uncertain Weather? KO: We always wanted to have performance opportunities for kids. Prior to this production, they either had the choice to be in the Dance Jam, which is a major commitment, or to audition for the Velveteen Rabbit. Otherwise we just had informal performances at the end of a session. We decided that we wanted kids to be in a real production and work on something where they could have the discipline, and the fun, of learning about performance and stage vocabulary, preparing for an audience and seeing something through from the beginning. With the creation of the theater, we had the venue to fully produce it. MT: What is the artistic vision behind Uncertain Weather? KO: I wanted to do a production that showcased the whole school, as well as the different ages and styles of dance that we have. Yet I wanted to get out of the mentality of school productions, which is often in recital format, and do a seamless production with an artistic through line, in which you experience all kinds of things in an Alice in Wonderland or The Wizard of Oz kind of way. We came out with the idea of uncertain weather because that theme allows a lot of play. The audience sees all the adventures unfolding onstage through the eyes of three girls, whom I see as hopeful spirits who experience all kinds of weather. I was inspired by the movie Beasts of the Southern Wild, which is about survival and community. For instance, in one piece, I wanted to address the fact that when disasters happen, they leave an unbelievable mess and people have to deal with it. How do you survive a disaster of some kind? How do you go on? Faced with all the detritus left behind by a huge storm, the girls initiate the making of crazy costumes out of garbage and decide to do a fashion show! MT: Can you tell me more about the genres and artists involved in the dance? KO: I choreographed many of the pieces with Tanya Bello, who is the assistant director choreographer. We try to make this a consistent production, just like The Nutcracker or The Velveteen Rabbit. But because of the way the piece is structured, there is flexibility and there are some small changes over the years. This year, I invited guest choreographers to do specific dance genres. Bianca Cabrera choreographed a hip hop piece about earthquakes called Deck and Cover, Namita Kapoor choreographed a tap and a Bollywood piece, Elizabeth Castaneda created a ballet piece. I also worked with Dennis Hysom, a wonderful composer who wrote the music. He did a brilliant job making all the transitions, adding sound effects, and making sure that all the music is seamless. MT: What is the learning experience for the performers? KO: Kids do not have to audition for Uncertain Weather but they have to commit to coming to rehearsal once a week for the whole school year, and they have to be enrolled in one technique class of their choice. The real challenge is that the backstage choreography is equally as important as the stage choreography. The kids have to know how to do fast costume changes and props. We have a lot of help backstage to help indicate where to exit, where to put props… The 13 dance jam members are also very important because they help with prop work and transitions, and they also appear within several pieces and do their own dedicated piece. In the original production, some of the kids were involved in helping make up the material. I like to choreograph that way. ‘How do you feel when you get hit by a giant wind? What does that feel like?’ I’d asked them. They also have to learn how to be in an ensemble, how to be aware of their space, all the things that dancers have to learn. Also, I think the age mix is quite special. There’s a lot of generosity from the older kids, who feel they have to be examples and help the little ones be excited about dancing. We try to create an atmosphere of mentorship and develop the spirit of community, ensemble, and support. MT: The emphasis on youth programs appears to be really important to ODC. Can you talk more about that? KO: I feel that the school is one of the big legacies that ODC is going to leave behind. After we are all gone, I’m hoping that the school will continue as a major dance center and that it will still embrace the values that we have, which is not just high quality training, but the importance of creativity, individual expression, and community. I feel we are very specially positioned as the youth and teens program is surrounded by professional artists, we have a presenting theater, and a professional company. 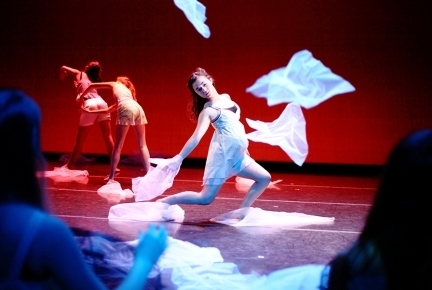 The kids are constantly seeing dancers, staff, faculty, people who have devoted their life to dance and to the arts. We are trying to create more connections between the company and the school. We do in-house field trips in the classes that meet at least twice a week. At some point during the session, we take the children to the studio to watch the company and the company sometimes does outreach activities. We have such an advantage to be able to offer that kind of expansive picture, from the professional highest end model to the sheer enjoyment, recreational and health-oriented values of dance. The fact that we have so many adults taking class shows you that you don’t have to stop dancing as you get older. I am also incredibly moved by young people, and I especially love teens. I know what they go through. Once you break through that veneer of self-consciousness, protectiveness and defensiveness, they get so genuinely inspired and excited about things that they give so much back. What keeps me going as a school director is realizing that we have the capacity to really change young people’s life or to steer them in a direction that they might not even have thought was possible. For me that’s a life mission. On her website, Wendy Perron lists the many occupations that she has held throughout her life: she has been a “dancer, choreographer, teacher, writer, editor, and always a dance addict.” Even if she had not mentioned the latter two words -or highlighted them in red- you would still notice her voracious appetite for dance by reading her recent book. Published in 2013, Through the Eyes of a Dancer compiles a selection of reviews, essays, interviews, profiles and blog posts which weave a formidable tapestry of the last four decades of dance history. With the embodied knowledge of a dancer, the organizational mind of a choreographer and the discernment of a critic, Perron takes us through the enthralling exploration of the sixties, the surge of performance art of the seventies, the exuberant “downtown” scene of the eighties, shadowed by the devastating impact of AIDS on the dance community. She guides us through the appearance of the internet, noting its effect on both dance makers and critics -how the virtual world allowed artists to be exposed to and integrate other genres and styles, while creating room for many voices to manifest online. Perron’s book does not only capture both the minute tremors and the larger waves that affected the dance world since the sixties, but it also allows us to revisit our own history as viewers, and consider how our gaze and perceptions may have shifted throughout the years. Browsing through the different chapters, we travel back in time, and sometimes in space, remembering a specific piece, and how it informed our life back then. For instance, when reading her words on Pina Bausch’s Nelken (1982), I was reminded of the captivating performance by dancer Dominique Mercy, whose ferociously carved face and body composed moments that edged on a thrilling line where humor and despair collided. Similarly, Perron’s manifesto-style blog post on Ralph Lemon’s How Can You Stay in the House All Day and Not Go Anywhere? (2010) brought me back to a piece which, at the time, felt like a house with many rooms, each the host of some hard-lived truths about love and loss. I enjoyed the sharp-blade efficiency of Perron’s writing in addressing and revealing such a vulnerable work. Perron will give a book reading at the Walking Distance Dance Festival-SF on May 31, at 6pm at ODC. In anticipation of her reading, I talked to her by phone. MT: When referring to your early days as a performance viewer, you wrote: “Only by talking about [a performance] could I get closer to understanding it.” Today, is it the same need to understand what you see that drives you to attend and write about dance? WP: I think it has changed. Before I would see something and would want to talk about it. Now, when I see something, I think about what I would want to write on my website, which I contribute to in addition to the blog I post for Dance Magazine once a week. I am always thinking about the thoughts that make me want to write. For instance, there was a tribute to Steve Paxton at the Danspace Project earlier this week. Jennifer Monson performed an improvisation that was so fantastic that I thought: ‘What is the lineage between her and Steve Paxton?’ It’s not a question which I could answer automatically, but I thought that if I sat down and wrote about it, it may allow me to delve into it. Questions such as ‘What will I find out as I write about this?’ make me want to write. MT: The cover photograph of your book is from Pina Bausch’s Bamboo Blues. Does this choice reflect an artistic connection to the German choreographer’s work or is it a way to avoid the difficult task of choosing among a plethora of American choreographers whose work you relate to? WP: I had initially thought that I could put a photo of myself as a dancer, but I realized that all the pictures of my dancing self were in black and white, because I pretty much stopped dancing 15 years ago. The photo needed to be in color, in a vertical format. The publishers looked around and sent some color photos from pieces of choreographers whom I didn’t write or care about. Somehow I saw this photo of Pina Bausch’s Bombay Blues, a piece that I have seen twice. The second time was at the Spoleto festival in Italy, five days after Pina Bausch died. Seeing the company perform that piece, which is so joyous and sensuous, right after she died, was an amazing experience. And yes, you’re right, I didn’t have to put an American choreographer on the cover. 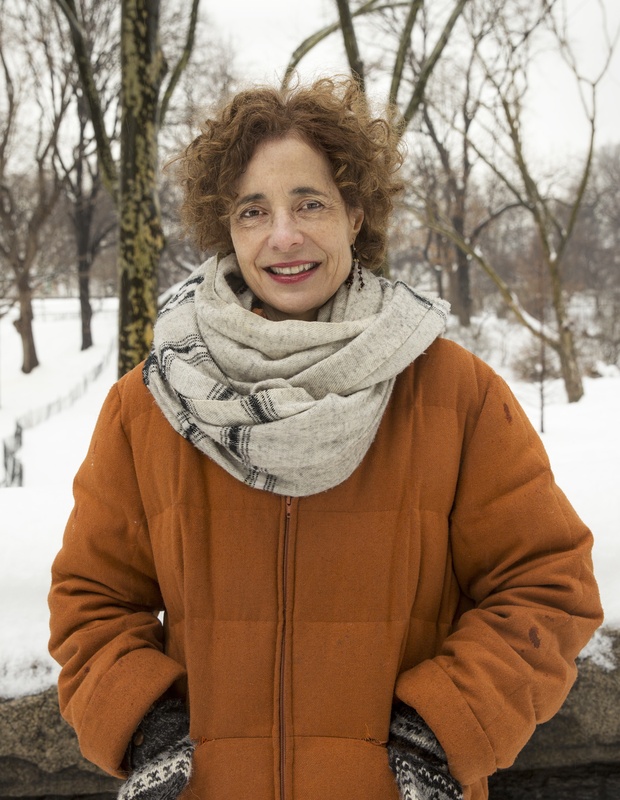 I did ask myself: ‘Would I put a photo of Trisha Brown or Martha Graham, or someone else?’ But I didn’t want it to be a book about Trisha Brown. The funny thing is that some people think that the woman on the cover is me! I love the picture because I think it’s lively, funny and seductive. MT: In a recent interview with Wayne McGregor, you referred to his observation about the fact that we all have filters through which we see the world. In those 40 years of dance making, seeing and writing, what have you learned about your own filters? WP: Because I choreographed for 30 years, I see through the filter of a choreographer. When I look at a new work, I look at the decisions the choreographer is making. Once they set up certain things -the number of people, the music- how do they make decisions within that? I notice it mostly when I talk with some of my other colleagues, especially at Dance Magazine, where a lot of them have been dancers or trained as dancers, but none of them were choreographers. They look at work from the dancer’s point of view. Of course, I look at work that way too, and that’s why I called my book Through the Eyes of a Dancer, but when I look at choreography and think about it, I am looking at the process of making decisions. But my filter changes. I have recently been judging a lot of ballet competitions. Everyone else on the panel was looking at the dancers’ feet. Instead, I was looking at how the person’s dance spirit came out of them. But in the last competition that I did, which was about contemporary dance, I found myself looking at the feet! Sometimes, another person’s filter is contagious. When you are sitting in a panel discussion with Artistic Directors of ballet companies or ballet schools, you see through their eyes as well. 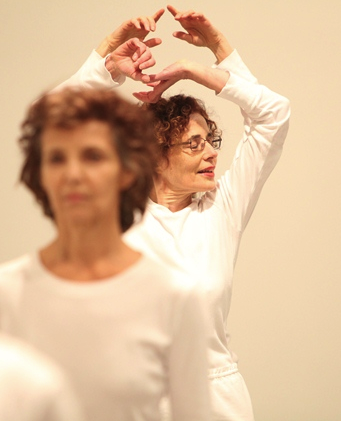 There is also the filter of the fact that I danced with Trisha Brown and I love her work. Sometimes, I see a piece that looks too much like her work and I realize that the choreographer doesn’t really understand where the movements came from. Very often, the past comes into seeing. One of the latter blogs mentioned in my book is about Twyla Tharp. I was looking at her recent piece on Broadway with the filter of how exciting her work was in the seventies, and how big of an impact it had on me, as a woman, at that time. So looking at her recent Broadway show, when it opened out of town in Atlanta, I can look at it with the filter of asking ‘does it have what it needs in order to be successful on Broadway?’ or I can consider the piece through the filter of how exciting the work was in the seventies, and see that now that stimulation is gone. Sometimes, there is more than one filter. But I try to come to a work with a clean slate, especially when I see something brand new. But as Wayne McGregor says, we all have our filters. MT: You mentioned looking at how choreographers make decisions when watching work. The term “choreographic thinking” has been very present lately in the contemporary dance discourse. In a blog entry included in your book, you refer to “that preverbal place” that choreographers have to dig into to make work. Would you define choreographic thinking as a ‘preverbal place’? WP: No, I haven’t heard that exact term but to me, there are two stages: the preverbal stage is more like a dreamlike place, almost like capturing a feeling you may have had in a dream, or something that is intangible or unexplainable. I feel that’s the first place to go. Then choreographic thinking would be more about time and space, how you move people around, how you organize from here to there. I would say that the preverbal space is more subconscious. There are choreographers whom I’ve seen whose choreographic thinking is very strong -they’re very good with patterns for instance- but you feel they haven’t visited these unconscious places. I’ve done pieces where I feel that I didn’t get to that preverbal place, I didn’t tap into the unconscious. I used the term ‘preverbal place’ in a blog entry objecting to choreographers blogging about their process and I got into a lot of trouble for writing that. I think it is good that choreographers are learning how to write about their work. Yet, at times, it’s premature. Sometimes you don’t really know what the work is about until you see it on stage when it is finished. And as Stravinsky said, sometimes you have to muck around in the dark, and then you can start to see what you put together. MT: In your 1976 article entitled “Exporting Soho,” you mention the huge success of American dance in Europe. When publishing the book, you added that the situation is now reversed, as European choreographers are exporting their work somehow disproportionally to the United States. In your opinion, what are the reasons of this shift and what can be done better to insert American dance artists into the international dance scene? WP: I am not a presenter so I don’t really know about strategies to export American dance artists. I think the American choreographers planted seeds of the American modern dance in Europe, and those seeds took root and have grown. I don’t think it’s so bad that we’re now seeing an influx of a lot of European companies coming to the United States. When it first started happening, it was very hard to get an audience in places like Dance Theater Workshop or the Danspace Project, which always presented New York artists, but the situation has changed. New Yorkers are seeing a much more international range of artists now, which I think is a good thing. But I’m no longer a choreographer trying to get work. My work now is seeing and writing about things, so I’m happy with what’s coming through.